Dr. Katherine Cutting Seibert was born and raised in up-state New York. She has been in the field of dentistry since 1995. Dr. Kathie started as a dental assistant while she attended the University of Louisville where she earned her bachelor’s degree in dental hygiene in 1998. 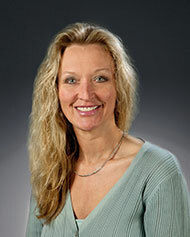 She worked as a dental hygienist in Kentucky while she again attended the University of Louisville School of Dentistry. Dr. Kathie is active in the community and schools. She has a son who attends college in Colorado. Dr. Kathie and her husband enjoy traveling and hiking.